St. Lawrence College is EV ready! SLC has installed charging stations at all three of its campuses thanks to the collaborative efforts of St. Lawrence College’s Sustainable Energy Applied Research Centre (SEARC), Utilities Kingston, Sun Country Highway, Kingston Nissan, Charge Point and PlugNDrive Ontario. 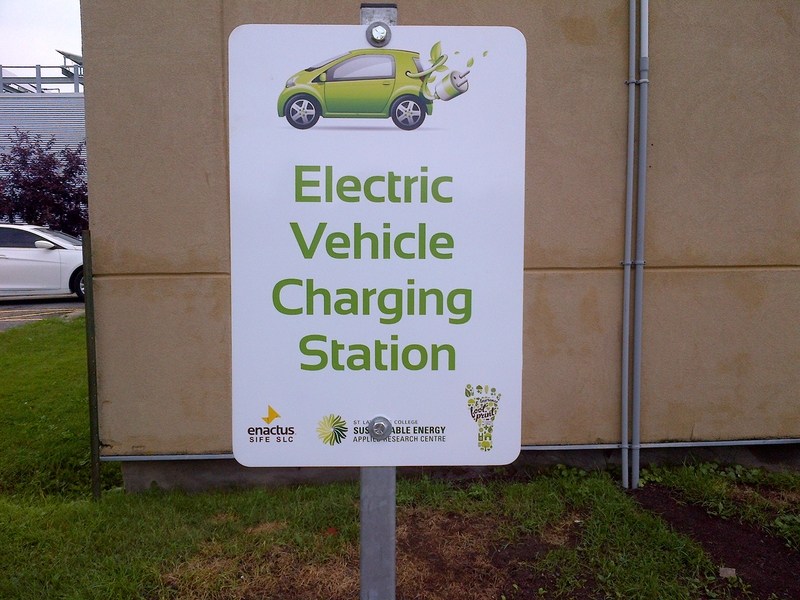 The charging facilities are a part of a research project that investigates the Electric Vehicle Service Equipment (EVSE) connection, installation and permitting processes and requirements, and recommends best practices to Local Electricity Distribution Companies (LDC) in Ontario. The project is jointly funded by the LDC Tomorrow Fund and the Natural Science and Engineering Research Council of Canada (NSERC) College Community Innovation (CCI) grant. The current project advances SEARC’s preliminary Electric Vehicle (EV) project titled: “The Kingston Electric Vehicle Readiness Project” which investigated the barriers to the adoption of Electric Vehicles in the Kingston region. The SEARC team is currently investigating the EVSE installation processes in several jurisdictions and exploring the option of standardizing the process while sharing best practises to a larger audience. The project will also enhance the understanding of the operations of different EVSE technologies through the installation of three different charging station technologies monitored by an independent research team. The EV charging stations were officially launched on September 19th, 2013. Click here to read an article published in the Kingston Whig Standard.